Beginner or inexperienced player writes on a discussion board that they didn’t want to buy a Generation because of the dangers of flaws, or had read about bad quality control of Generation whistles so they didn’t buy one. Beginner or inexperienced player buys a Generation whistle and cannot immediately play all the notes correctly, cannot immediately get all the second octave notes, and/or plays it into tuner and decides that it’s “out of tune” … then they go online, read some other comment about “bad Generations” and declare that theirs is also a “bad Generation”. Someone has bought a “tweaked” whistle, goes online and starts declaring in different threads that the only way to get a “good” cheap whistle is to get a “tweaked” one that has been “corrected”. Of course, there is also the story that since these are cheap instruments then they are effectively toys and you must buy proper more expensive (and adult) instruments to play properly. I have been buying Generation whistles for over 40 years, I’ve played them for even longer. I have literally never had one of these fabled “bad Generations”. Also, I’ve never purchased or tried any whistle that was unable to play all the way up to the top C (2 octaves up) and that includes many of the makes of cheap whistles. Simply put. There is no overriding issue with the quality of Generation whistles. They are fine. You can buy a Generation whistle and it is highly unlikely that it will be unplayable, not play in the top octave or be wildly out of tune. What you need is to be able to play a whistle. You would not immediately make derogatory remarks about the quality of popular makes of trumpet, flute or violin simply because you’ve not learnt to play it yet. So why with whistles? 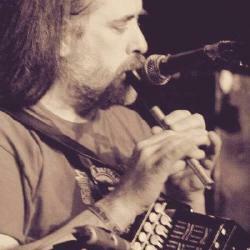 It does take some skill to play a tin whistle, and to play in tune. You will not do that on day one, or even week one. In fact it will probably take weeks before you’re reliably hitting all the notes even at a slow speed. On a violin it will take months for a beginner to get a tolerable tone … does that mean every violin is a “bad violin” and with “bad quality control” at the manufacturers? Ah, you say, what about the “tweaked” whistles? How about them, at least they correct all the flaws and make cheap whistles playable and in tune. Tweaked whistles make the instrument sound different, maybe behave a little differently, but a tweak is not necessary to make, say, a Generation whistle playable. You don’t need to get a tweaked Generation whistle to make it in tune, or in tune with itself. In fact, the only person that I know of who “tweaks” Generation whistles makes no changes to the tube, and therefore no changes to the tuning of the instrument; in contradiction with the bad Generations folklore. Tweaked whistles are not bad whistles transformed into magically good whistles They’re whistles whose characteristics (sound, volume) have been changed … different, not objectively better. A tweaked Generation whistle is not easier to learn on or to play. The same goes for more expensive whistles. In fact expensive whistles are often harder to play because of their design. That is why I would not advise any beginner to start on an expensive whistle (or even a tweaked one to be honest). Save your money, buy a cheap whistle, a Generation is a very good choice, and learn on that. Later, when you’ve got some experience, you may like to try out other whistles. You may have come to the conclusion that you prefer a particular sound, or a particular playing quality like a low or high air consumption or “back-pressure” (to do with the blowing resistance of the whistle). You may even come to the conclusion that your cheap whistle is absolutely fine and you will stick with that; as many have, including professional players. I have no financial interests in the production or selling of Generation whistles. As far as I know, none of my friends or family have any interests in their production or retail. I am not aware that I have ever met or corresponded with anyone with connections to Generation Music Ltd. I simply like and play Generation whistles.